Toy Story 4 movie trailer, clips, photos, soundtrack, news and much more! The fourth installment in the Toy Story franchise is going to be a huge party! The film will open in theaters on June 21, 2019. Are you ready to go on an crazy toy adventure with Woody and Forky? The toys are back for a fantabulous adventure, hell yeah! Will you play with them? Old toys and new toys team up for a new fabulous adventure to infinity and beyond! They’re not toys: they’re heroes! Release date: June 21, 2018 (in theaters). The main voice cast includes Tom Hanks, Tim Allen, Joan Cusack, Don Rickles, Estelle Harris, Wallace Shawn, John Ratzenberger, Jeff Pidgeon, Blake Clark, and Tony Hale. In theaters: June 21, 2018. Are you in for a new epic adventure? But details of the plot of Toy Story 4 have also been revealed! The film will focus on Woody and Bo Peep (pictured below)! Yep, love is in the air again! Director John Lasseter hosted a Toy Story 4 presentation during the Pixar panel at the D23 Expo 2015. The movie Toy Story 4 will open in theaters on June 21, 2019. We were told Toy Story 3 would be the last installment of the movie franchise. Well forget it, Disney Pixar are now developing Toy Story 4. Yep, that’s right, and I bet you didn’t see that one coming! John Lasseter who helmed the first two movies will return to direct the new sequel. The story is based on a story created by Lasseter , Andrew Stanton, Pete Docter and Lee Unkrich. 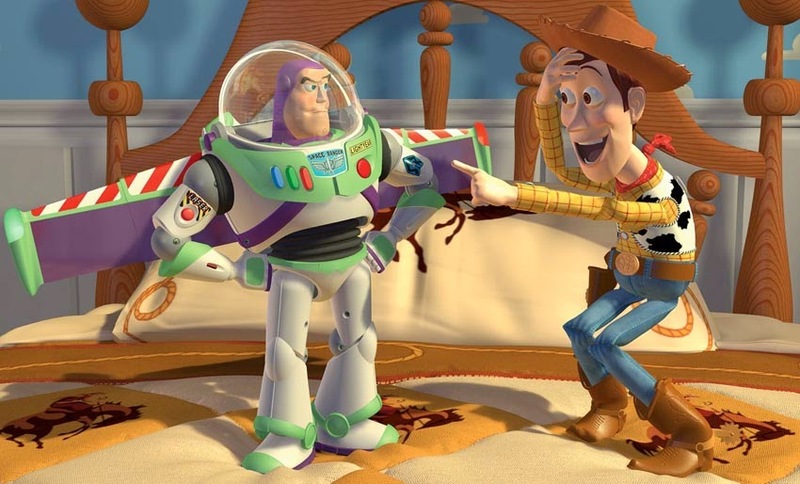 According to the online rumor Toy Story 4 could involve Woody and Buzz Lightyear meeting high-tech toys. But nothing confirmed yet. Maybe you have a suggestion regarding the plot of Toy Story 4? Share your thoughts below, maybe someone from Disney Pixar will pick it up! The release date of Toy Story 4 is set to June 16, 2017. Stay tuned with us for more details about Toy Story 4!